The currency opened at 70.55 per dollar compared to yesterday's close of 70.90 per dollar amid sharp sell -off in equities. The dollar weakened to 112.65 yen from 113.19 yen late Wednesday. The rupee opened 35 paise higher in early trade today amid weakness in the dollar and sliding crude oil prices. The currency opened at 70.55 per dollar compared to yesterday's close of 70.90 per dollar amid sharp sell -off in equities. The dollar weakened to 112.65 yen from 113.19 yen late Wednesday. The euro rose to $1.1373 from $1.1342. Meanwhile, the Sensex opened 197 points higher at 35,494 level. The Nifty too rose 35 points higher at 10,636. 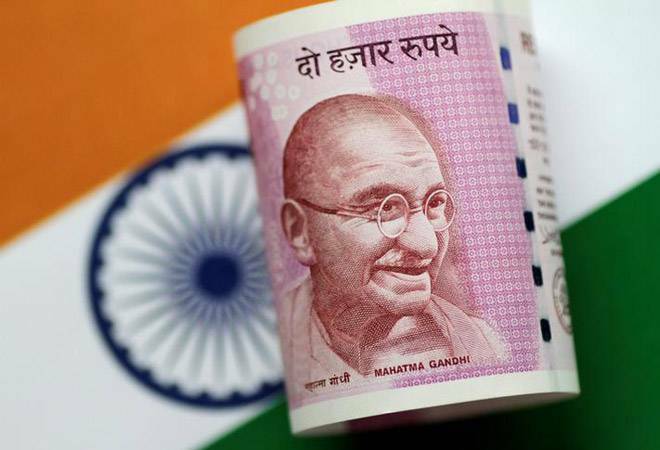 On Thursday, the rupee fell 44 paise to close at 70.90 against the US dollar amid a strengthening greenback and sharp decline in equity markets. On a net basis, foreign portfolio investors (FPIs) bought shares worth Rs 72.47 crore on Thursday , and domestic institutional investors (DIIs) were net sellers to the tune of Rs 389.78 crore, provisional data available with NSE showed.